For businesses of all sizes, acquiring, retaining, and supporting customers is more challenging than ever before. Activities that were already complex have become highly-complicated, multi-faceted workflows and procedures that are difficult to coordinate, track and manage. Marketing teams must plan and develop an increasing number of sophisticated campaigns, and deliver them through multiple mediums. Sales reps must follow-up on hundreds of new leads, while juggling existing sales cycles. Support staff must rapidly resolve a growing volume of customer problems and issues. And, management must oversee customer-facing operations across all departments, and ensure that all client interactions are handled in a responsive and professional manner. Customer relationship management (CRM) systems has emerged as a way for businesses to streamline customer-related processes across functional areas, increase the efficiency and effectiveness of customer transactions at all levels, and optimize service quality at each touch-point. Within the CRM world, there are many types of solutions, each having their own flavor, and each meeting different business needs. CRM is a solutions and CRM is a software by all means, but what we believes at techzone, CRM is more than a software and this is strategy. We know CRM need robust strategy to successful and alwasy need additional attention. if you make your CRM strategy with single point in mind that improve the customer interaction , the chances of success of the same will be very high, but if you dont go with that format it will not reap you all the benefits. Understanding the primary business goal of business is very essential and you must have to understand that the business solutions CRM is not for the today business, this is for your tomorrow business requirements, and prediction of future is lead to select the accurate CRM solutions that can be scalable, not required too much of maintenance services and have same infrastructure requirements that is available with your enterprise business. To finalise your CRM requirements you can asses the following and predict your best suitable solutions. 1 Choose platform : Primary selection process will start from the choosing the platform of CRM , weather you are looking for CRM solutions of open source technology, commercial open source or Commercial platform or custom solutions. If you want to start selecting your CRM platform, you have to start evaluating your current infrastructure and find the suitable solution that don't need too much of customization. I Open source CRM : if your business requirements is not required too much of customization that open source solution is best fit, as it will lead to remove the high investment sealing and give you financial freedom. Open source CRM depend upon the community of developers and solution provides. Some company like sugarCRM have very large community and almost all requirements can be fulfilled with the community edition of solutions. 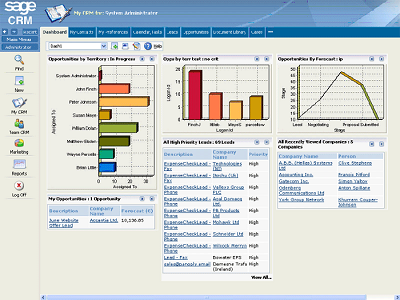 Open source CRM also required a regular implementation partner with dedicated development team. Training: Training of the open source CRM is another aspect, if your employee required too much training and also huge basic planning to migrates the entire business process over CRM then think again before moving with open source CRM. As open source CRM will not give you too much of training content and if community content is available , even then there is chances that you will not able to train your employee and motivate then too much to use the CRM solutions. Infrastructure : Most of open source CRM is based on Linux ( LAMP ) platform or JAMP platform, it will required standard hardware infrastructure, but if you have more than 500 employee using the CRM solutions that robust infrastructure is mandatory for no or almost minimum downtime. Top 10 Open source CRM solutions: Techzone update you regularly on the top 10 open source CRM by mean of evaluating several parameters. 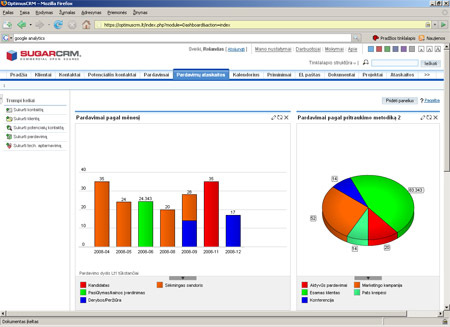 Here you can find the all Open source CRM and top 10 Open source CRM for download. 2 Choose your CRM infrastructure : this is very crucial and also a strategic decision of what infrastructure you need your CRM to be run. Are you looking for licensing of the CRM with your own infrastructure, or cloud based SAAS platform. This is very crucial and the prices difference between the 2 is very high. However current trend is showing very high growth of SAAS based CRM solutions, there is also some limitation of the saas platform. So choosing saas or in house infrastructure is primary point of selecting your CRM. SO we have now sufficient compare between the platforms, now it is your decision that what platform is fit your requirements. You can talk to Techzone for your recommended solutions that fit your bill and also give you more and more information and solutions. Techzone CRM practice is just based upon the strategy of business and domain, we are only company provide Custom CRM solutions on selected platform as a ready business solutions. We are having team and partnership with leading CRM vendors like Microsoft, SAP, Oracle and SUGARCRM. We always look out for the solutions that are part your resolution, we never give you CRM as a challenge, but our CRM team assist you in end to end solutions deployment and selection of the software. We always look out and find the perfect consultancy and licensing opportunity. Our partnership with security vendor, hardware vendor also lead to lower your cost of deployment and don’t have to manage multi vendor for your CRM. We at Techzone is one source for your complete requirements of hardware infrastructure, training to employee, customization services, Migration and data porting, Application integration from your existing enterprise solutions, Hardware and infrastructure setup, licensing, maintenance and Consultancy. 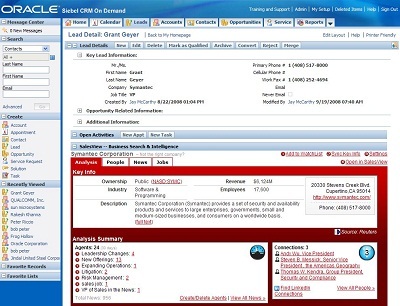 1 Multi platform operation : Techzone work on multiple platform of CRM that include open source CRM solutions, Oralce sible CRM, SAP CRM , Microsoft CRM and platform of Salesformce.com, Sage CRM and other vendors. this will lead to resolve and give you assuired best in class solutions for your business. 2 Cost and deployment time: Our CRM deployment policy is based upon the primary fundation of go with best , what it means that your deployment cost, time and resource can be utilized at max fo remove the hurdles and give you higher return on investment. also our CRM platform based solutions is business ready, we have more than 200 business ready solutions that must fit your requirements and not need too much wheel reinvetion. 3 Knowledge base: Our Team of CRM consultant have more than 100 years on man hours experience in CRM deployment for leading corporate of India and also more than top 20 industry give us domain expertise and essential tools in hands. 4 Easy migrations: We provide end to end migration support to your company complete solution include migration of current existing content over new application of CRM without a single minute downtime. 5 Maintenance and Delivery: We provide delivery of solution as per requirements of clients include the deployment of application onsite or offshore. We also provide complete maintenance service for the entire lifecycle of the application and a minimum 5 year support assurance for any application we deploy to reduce the overall cost of deployment and higher ROI from peer. 6 Best practice and Benchmarking : we are independent CRM implementation company and work with industry best practice and benchmarking for price, feature, hardware and resource allocation, deployment time and maintenance cost. We are not just use the available resource with face change we work with all solutions that give long terms commitment and upgrade for services and solutions without any higher upgrades cost. 7 Service assurances: We provide complete service assurance for the deployment of CRM solutions and needless to say that our CRM service assurance is easy way to protect your investment over long terms. Zero downtime formula is one of the assurance from our service assurance package that bring more protected investment and easy migration from one service providers to another. Effective knowledge and information sharing is vital to any organization. CRM always give you more benefits and satisfied clients to your kitty. 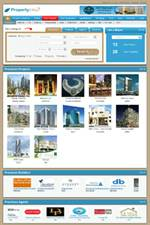 it will also give you reward by on time services and several refereals to you new business. Powerful authoring tools to create, edit and publish product catalogue web content, including an easy "Edit this page" interface and WYSIWYG editing. Years of experience have shown us that every organization has individual requirements to an effective CRM system. Techzone delivers flexible and scalable CRM tailored to customers’ specific requirements. We work with you to learn your business needs and offer the appropriate options, delivering a dependable solution according to your application requirements and budget. 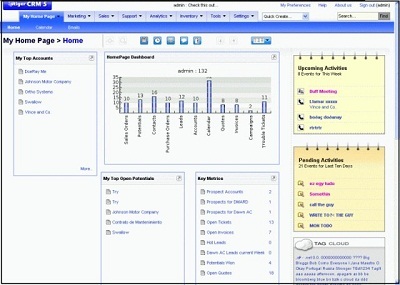 SUgar CRM community edition is one of the most popular open source CRM solutions that run hundred of business worldwide. the feature and function is very easy to use. you can also customise your own module by usign module studio of sugar. several plugin and small tools are also develeoped in community of more than 10000 developer that help you to asses your requirements of crm. 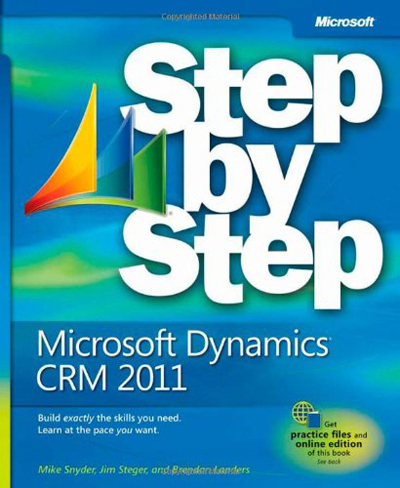 Microsoft dymanics crm is one of the growing small business crm solutions with host of customization availabel as per cuastomer requirements. microsoft in support by hundred of partners and integration vendor, so microsoft crm can be benefit you all the way. the cost of the micorosft crm server start from USD 899 unwards and per user cost can be anyhwhere between Us 200 to USD 400. microsoft crm availabel on hosted and on premises model. you can talk to techzone for your best implimentation of microsoft CRM in your organisation.